Get Professional Cleaning Services in Your Stores! If you are running a store or retail shop in Toronto and surrounding area, then our you now how important it is for you to keep it neat, clean and tidy. The first thing that customers see when they will walk into your store is how clean and organized it is. Many customers must walk into and out of the store throughout the day, so it is likely that it will get dirty fast. You need to keep the store area and inventory in the store clean in order to maintain a good image for your customers. If you don’t have enough time to perform the cleaning task and would like to focus more on running your business and relationships, then you can leave the work for us. 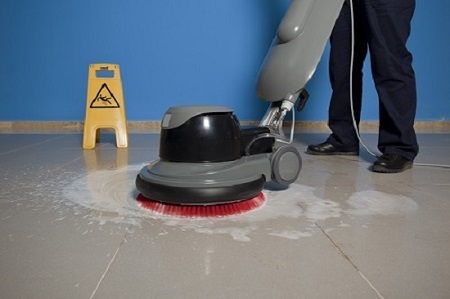 We have been providing quality retail and store cleaning service for a long time. The appearance of a retail shop will create the first impression for the customers. If you fail to keep it clean and tidy, you may lose some customers. Contracting our professional cleaning services not only will help you maintain this image but also keep your clients happy and give you the peace of mind. Our cleaning team are skilled and experienced, they will complete the work in a professional and timely manner making sure that quality is on top of their list. We are reliable and customer focused so you can trust us with your business needs. With our years of experience to back us up, we are now the best in the business. There are different packages available for you to choose from. We offer unique features for you to suit your specific needs. We know that the floor one of the first things clients walking into a store will notice. So the floor of your store and its condition will create a first impression. We will start the cleaning task with the floor. We will vacuum the floor and mop if there is no carpet to make sure its shiny and clean for oncoming client. Our cleaning solutions are effective, environment friendly and smell good to attract clientele. If we see spots and stains on the carpet we will also remove them to make the carpet and area look at its best and bright. We have the supporting equipment to complete these tasks among the professional training of our staff. The next important cleaning should involve the windows and wall. With lots of customers and staffs coming in and changes in weather, the windows and walls are likely to get dirty. We know the most effective techniques for wall and window cleaning. Our maids will shine the windows and wall for you. Again this will cause your clients to be impressed and come back to your store. Call us today and hire our maids for your store and retail cleaning. We are one stop cleaning solution for you in Toronto and surrounding area.